We can offer oil separator set & parts as below brands & models: ALFA-LAVAL MAB103, MAB104, MAB204, MAB205, MAB206, MAB207, MAB209, MAPX204, MOPX204, MAPX205, MOPX205, MAPX207, MOPX207, MAPX309, MOPX309, MMPX304, MOPX310, FOPX610, MOPX209, MOPX210, MFPX307, WHPX505, WHPX508, WHPX510, WHPX513. MITSUBISHI SJ700, SJ2000, SJ3000, SJ4000, SJ6000, SJ10T, SJ-11T, SJ-15T, SJ-16T, SJ-20T, SJ-25T, SJ-25EH, SJ-60EH. WESTFALIA OSA7, OSA20. Nanjing DRY-15(KYDR203), DZY-30(KYDH206), DZY-50(KYDH209), KYDH204, KYDH407. 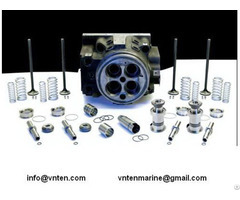 We specialize in suppling a variety of marine equipments & spares as follows: main & auxiliary diesel engine, alternator, clutch, turbocharger, governor, air compressor, marine boiler, water generator, air cooler, oil cooler, purifier & clarifier, oily water separator, filter & strainer, air conditioner, marine refrigerator, incinerator, sea water pump, hydraulic pump & motor, steering gear, cargo handling equipment, mooring equipment, anchor handling equipment, switchboard, shafting & propeller, instrumentation, ship stores, etc. 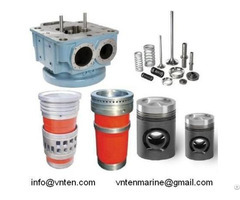 Business Description: Welcome to Vnten Marine Equipment & Parts Co., Ltd, located in China. We are a professional marine equipments & spares supplier, which consist of experienced and qualified marine engineers, serving our customers all over the world. 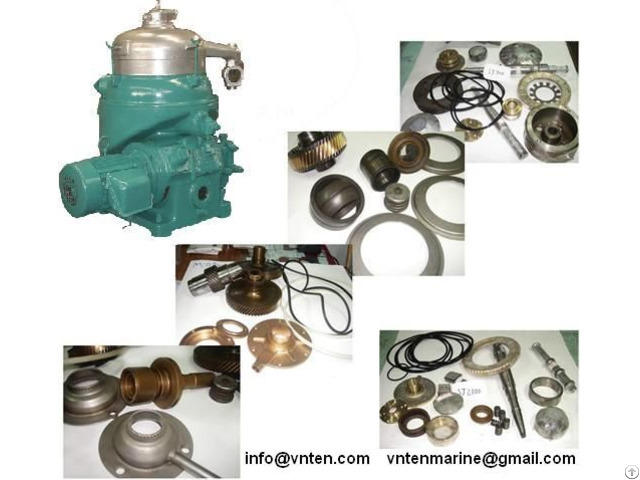 We specialize in suppling a variety of marine equipments & spares as follows: main & auxiliary diesel engine, alternator, clutch, turbocharger, governor, air compressor, marine boiler, water generator, air cooler, oil cooler, purifier & clarifier, oily water separator,filter & strainer,air conditioner, marine refrigerator, incinerator,sea water pump, hydraulic pump & motor,steering gear, cargo handling equipment, mooring equipment,anchor handling equipment, switchboard, shafting & propeller, instrumentation, ship stores, etc. 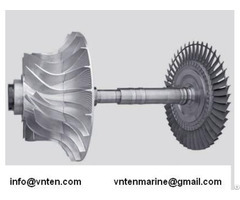 We are able to issue classification certificates of CCS, DNV, ABS, BV, LR, RS, KR etc. for equipments & main components. We have a group of professional engineers and interpreters to offer technical support and timely help for ship maintenance. To sum up, we always focus on your attention and try our best to serve you. We also believe:"good , better , best ; far, further, furthest."